We are a passionate group of people, inspiring one another to make positive change in our lives and in the world. We strive to inspire students to make change in their lives and in the lives of others by educating each other on international development, better trade, and how to live more sustainably and with greater positive impact. EWB is defined by its awesome members and the exciting work they do. 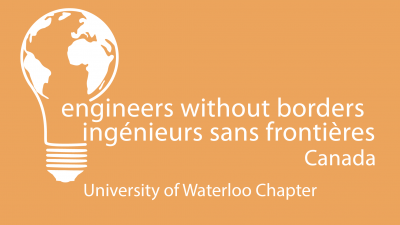 As a student, you have a unique opportunity to connect with a network of people from all across Canada and sub-Saharan Africa through EWB. The ways to become involved range from helping at our events to joining our executive team and planning these events.